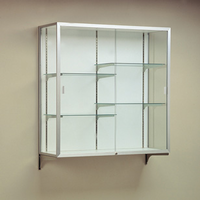 Specialty Display Case - 30 x 30Comes with seven (4 plate grooved) shelves that can be removed to fit your needs. 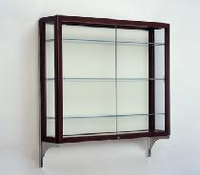 Heirloom - 890 Display CaseSliding safety glass doors and built-in locks are standard. 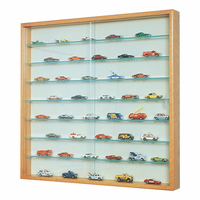 Heirloom Series Wall DisplaySliding safety glass doors and built-in locks are standard. 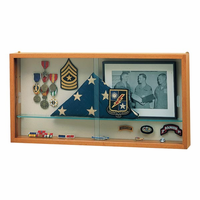 Heirloom Display CaseBeautiful hardwood frame! 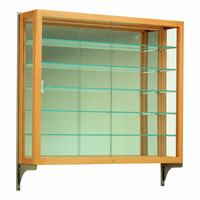 Citation Display CasesSolid Oak wall mounted case. 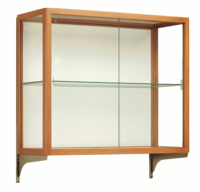 Measures 60"L x 36"H x 4"D.
Legacy Series Lighted DisplayFramed in solid oak with an Autumn Oak finish and illuminated header. 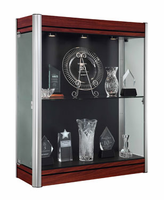 Champion Series Display CaseAluminum frame, wall-mounted cases are the ideal choice when floor space is at a premium. Multiple Sizes. 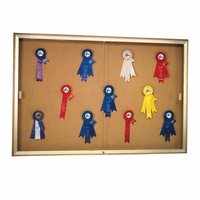 Harbor Series Recessed Trophy and Display CaseThese wall displays are available in satin or bronze framing and multiple sizes. 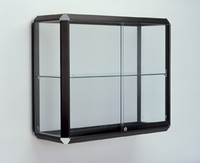 Waddell Contempo 603 Wall-Mounted Trophy CaseThis beautifully finished trophy case measures 36L x 44"H x 14"D.
Champion 1200 Series Wall-Mounted Display CaseMultiple sizes - click on picture for details. Quantum 514 DisplayThis quick-ship item ships in just 7 business days! 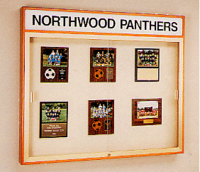 Shop Wall Mounted Displays with Confidence at TrophyCentral! 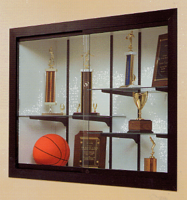 TrophyCentral has an industry-leading selection that will fit any budget, all at discounted prices. Our experts in New York, Michigan and online have been providing guidance since 1999!